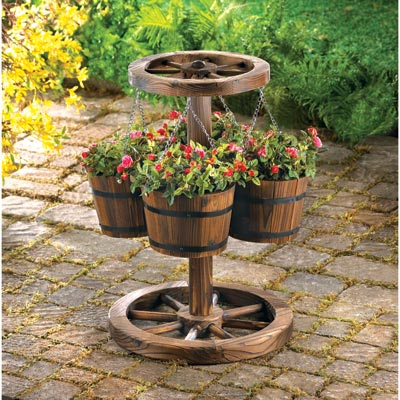 Show off 4 of your favorite plants with the Rustic Wheel Planter! 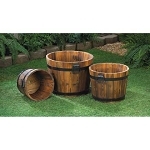 Made to look like a wagon from past days with 2 wooden wheels plus an axle, this planter will draw attention. 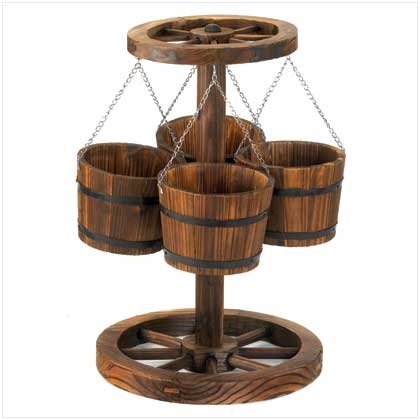 Four baskets hanging by chains showcase your plants like never before! Can be used in your store or business as a decoration piece or as they highlight of a larger display. Buy yours today!